Spend a week here, and be forewarned: you’ll be pining for a return visit. Western Australia is robust in personality, with a come-hither coastline, quaint local eateries, incredible artwork, and untrammeled islands. Here’s your cheat sheet to living like a local. 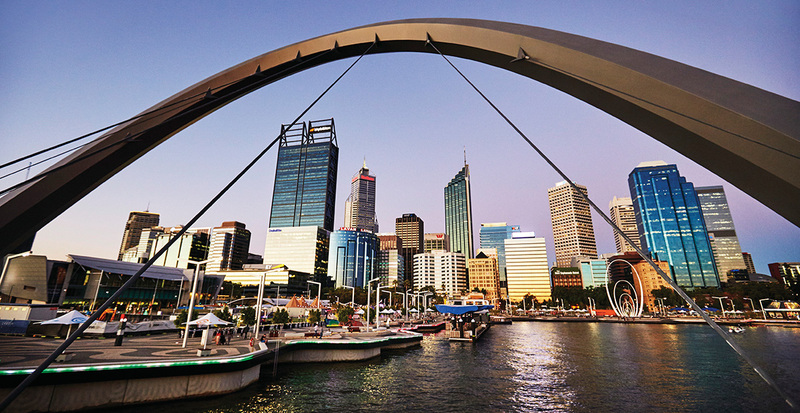 Spend the day in Elizabeth Quay, your central hub to the city with its landmarks of the arches of Elizabeth Quay Bridge, Spanda Art loops, Bell Tower, one of the world’s largest musical instruments and a carousel set the scene along the Swan River where river cruises, kayaking and seaplanes jump off to explore Perth and beyond. 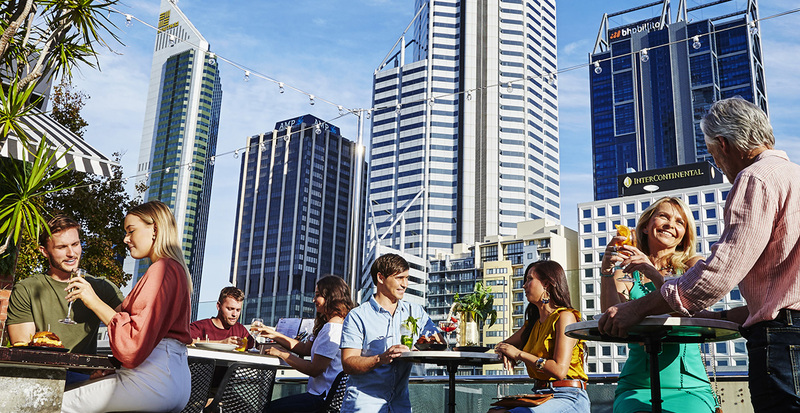 A top spot to soak up Perth’s sunshine, relaxed al fresco dining, including walking tours, interactive water park and public entertainment with music and events daily. Perth’s 19 beaches in 20 minutes. Soak in the Sunset Coast, 22 miles of Indian Ocean coastline. Mettams natural rock pool and Marmion Marine Park shallow lagoons, reefs, small islands offer diving, snorkel, swimming. Scarborough’s transformation offers an outdoor ampitheatre for music & events and hang ten with surfers and body boarders. Dine at Odyssea at family friendly City Beach with cycling paths or enjoy the locals favorite Cottesloe, grab fish and chips and a long-lasting sunset Western Australia is famed for. 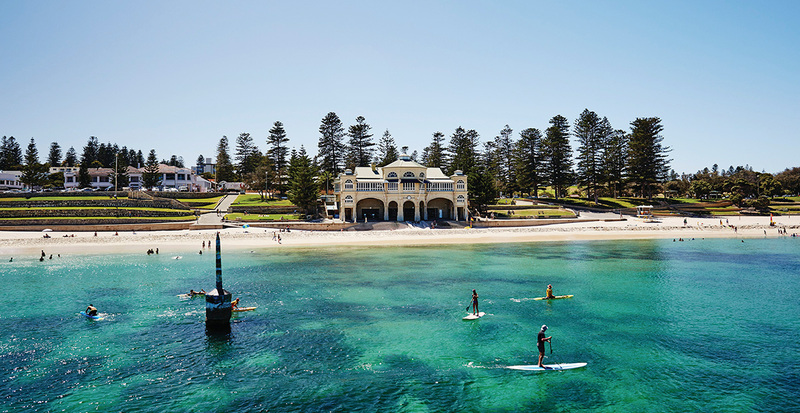 Visit Fremantle, or “Freo” a charmed historical fishing village and sea port for Perth where the living is decidedly laid-back. 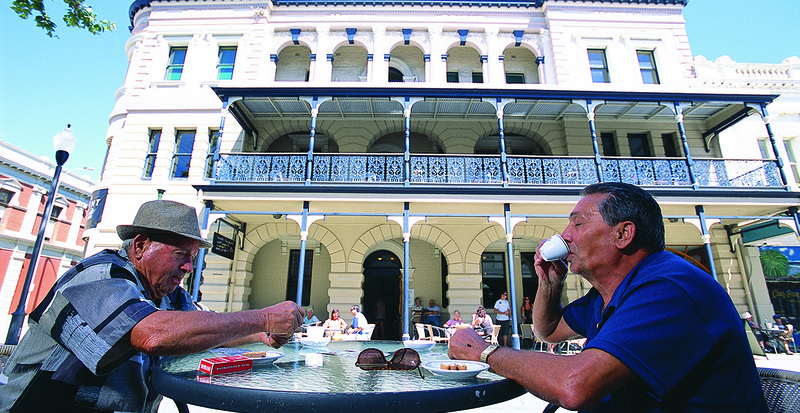 Against a backdrop of the best preserved 19th century port streetscape in the world, a day out in Fremantle is an eclectic and eccentric blend of fabulous artisanal food, handcrafted beers, great coffee, quirky boutiques and a lively music, arts and festival scene. Not to miss, Fremantle markets on Friday, Saturdays & Sundays since 1897. 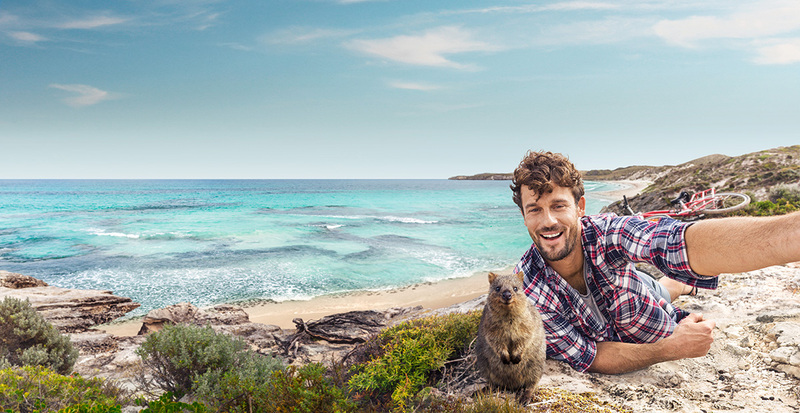 A short ferry or seaplane ride from the city brings you to Rottnest Island, Perth’s car-free island reserve where you might capture a selfie with a world famous happiest mini-marsupial, the Quokka! The island has 63 stunning beaches, 20 beautiful bays, coral reefs, swimming spots, snorkel trails and surf breaks and a new glamping resort. You may also spot the rare Australian fur sea lion, migrating whales, and explore 350+ species of fish. Sitting under a balmy night sky, beside an Indian Ocean sunset, or a million-dollar Perth city view is the way to dine in Perth. Western Australia produces a profusion of fresh organic local produce, succulent seafood, highly prized black truffles, hand-crafted beers & spirits and world class wines. Experience imaginative creations of Perth’s chefs, winemakers, baristas, mixologists and brewers. Discover a growing small bar scene tucked away within Perth’s laneways or trendy enclaves. The award winning Swan Valley Food and Wine Trail 20-mile scenic loop drive in the heart of the Swan Valley, is 25 minutes from Perth. 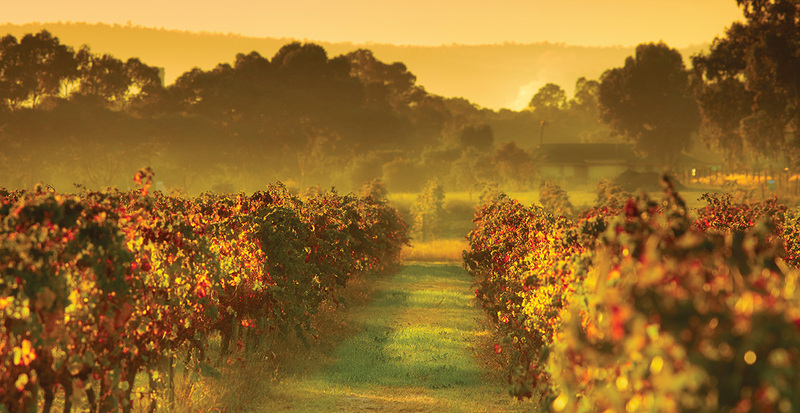 Start at the Visitor Centre in Guildford, this Top Trail takes in more than 150 wineries, lively breweries, fine restaurants, bustling cafes, distilleries, art galleries, shops, accommodation and roadside stalls selling fresh produce. Many visitors travel by gentle wine cruise from Perth via the Swan River to Western Australia’s oldest wine region as a day trip. Your trip finale? Day trip from Perth to the other-worldly landscape of the Pinnacles Desert in Nambung National Park. Following the Indian Ocean Drive, stop at Yanchep National Park to see Koala’s high amongst the trees, try sandboarding in Lancelin, don’t miss lunch in Cervantes to taste the famous seafood delicacy at The Lobster Shack. 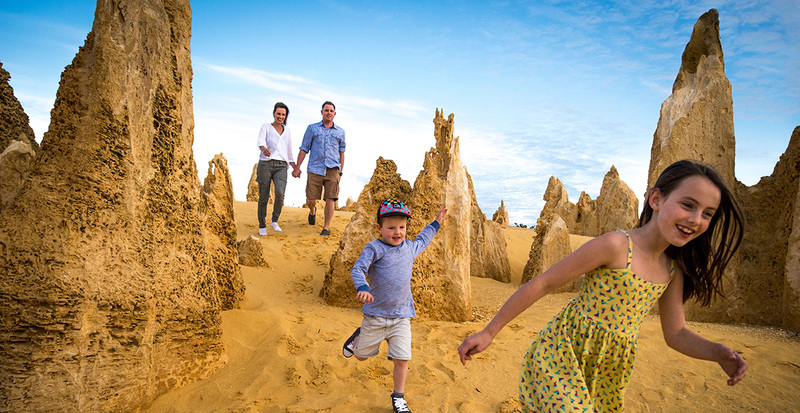 Frolic amongst the ancient sandstone pillars of the Pinnacles. Heading back head inland to Caversham Wildlife Park for wildlife encounters with kangaroo’s, wombats and more. Cheers! Does Australia top your wish list? Contact us today and we’ll reveal the finer side of Western Oz & beyond.